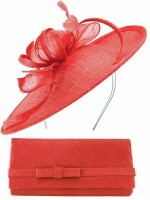 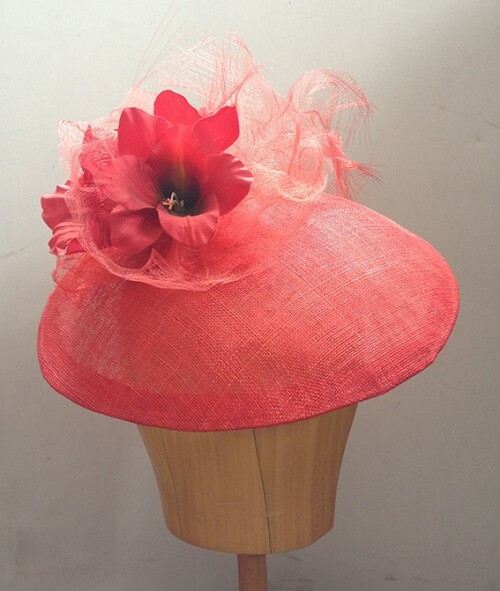 Couture by Beth Hirst Red Dior esque Saucer with Flowers and Crin from Fascinators 4 Weddings. 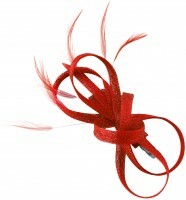 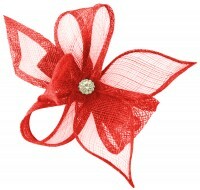 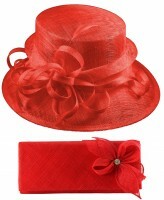 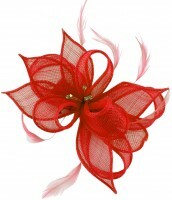 Striking Red Dior-esque Saucer with Flowers and Crin Details.�Sits to the right hand side of the head, mounted on a skull cap with a comb and a hat elastic for added security. 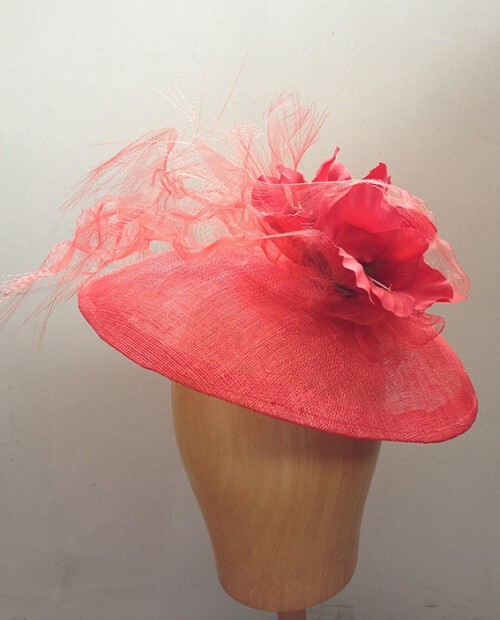 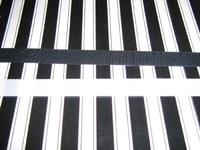 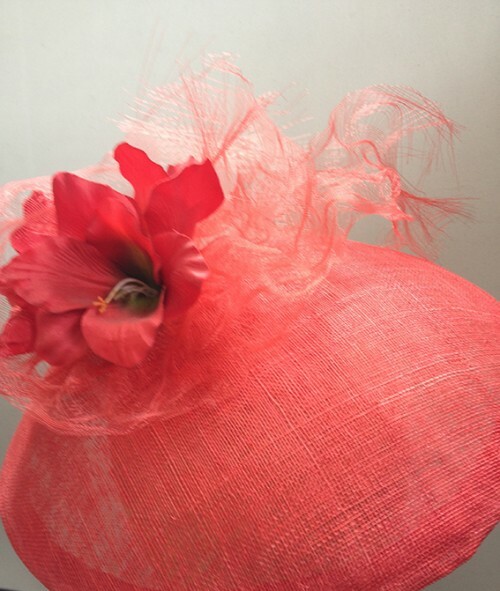 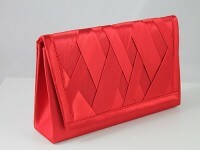 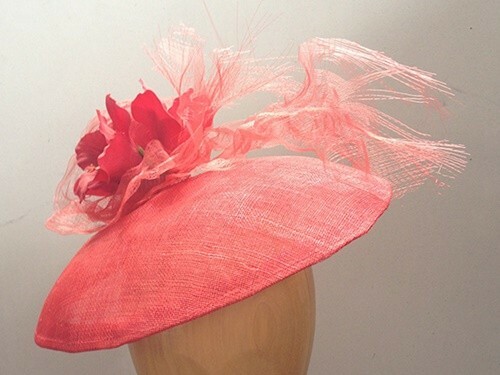 Great for events such as a wedding, race meetings such as Royal Ascot, Cheltenham, Ebor, Goodwood, Melbourne Cup, Kentucky Derby or any hat wearing occasion.�Completely hand blocked and hand stitched, each piece is individually lovingly created so you know you will be the only one wearing anything like it.